It’s been a while since I ran my last Bookshelf post, so with another lovely writing week taking up much of my time, this seems a good moment for one. Several of these books will eventually become the basis of podcast interviews at New Books in Historical Fiction (NBHF); others relate to the recently renamed (Mostly) Dead Writers’ Society (DWS) on GoodReads or to the developing catalogue at Five Directions Press. Most are by less well-known writers—some traditionally published, others not. Because isn’t that the fun part of reading: discovering a new writer, preferably one who has produced lots of books? So here we go, more or less in order. Just finished this account of the early years that Cixi, the last empress of China, spent in the Forbidden City, between her selection as the fourth concubine of Emperor Xianfeng to his death and her ascension to the role of joint regent for their son. 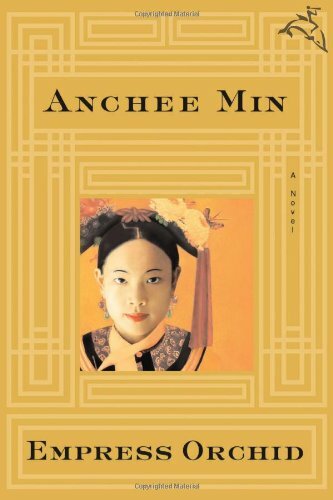 We watch her grow from a naive sixteen-year-old left to her own devices in the imperial palace to the emperor’s favorite companion and adviser to a capable woman who, even in her mid-twenties, defends her own and her son’s interests within a court that insists on underrating her intelligence and her talents. I read this as part of the DWS’s 2017 exploration of revolutions, starting with the Boxer Rebellion, and enjoyed it very much. The Boxer Rebellion doesn’t actually appear until the sequel, The Last Empress, but the earlier Taiping Rebellion forms part of the backdrop here. The same author's Becoming Madame Mao is also a favorite of mine. 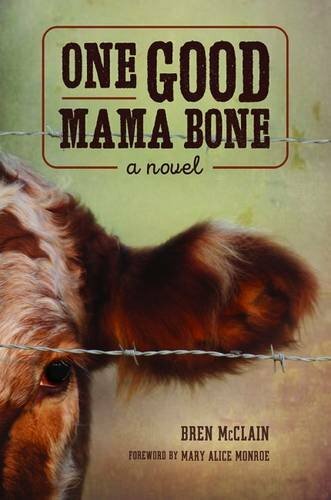 Sarah Creamer, dirt-poor and widowed by an alcoholic who leaves her with a son he had with her best friend, struggles to pay the mortgage on her farm and raise a boy that’s not hers despite her own mother’s scornful comment: “You ain’t got one good mama bone in you, girl.” Salvation appears in the form of a young steer, destined to compete in a 1952 cattle show. But when Sarah discovers what may happen to her steer if he wins the prize, her developing instincts as a mother force her to reconsider where her true loyalties lie. My February interview for NBHF. 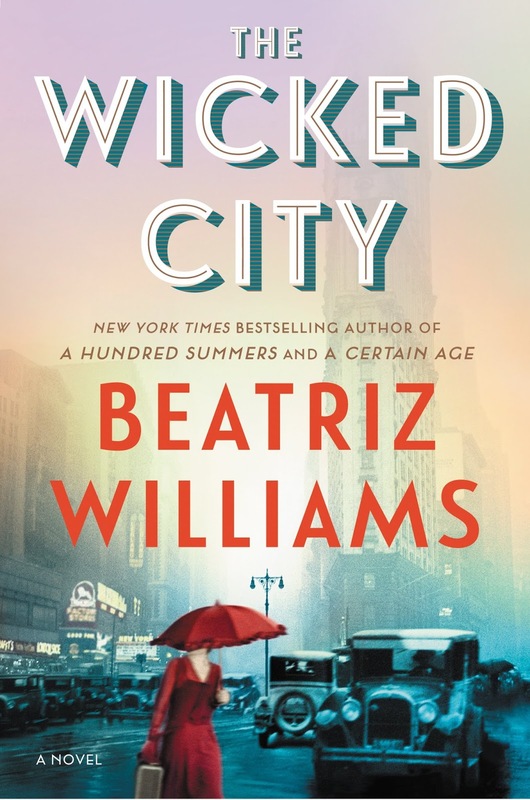 A dual-time novel alternating between a modern-day New Yorker warned to stay out of a haunted basement in modern-day Greenwich Village and a flapper who loves to party in the same building in 1924, when it hosted one of the city’s most notorious speakeasies. 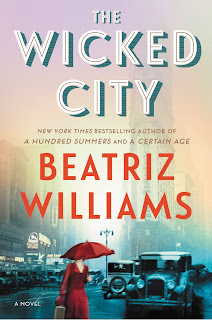 By the author of A Certain Age, another Jazz Age story that I loved, this book was sent to me for an NBHF interview, but I was already booked; I plan to interview the author in July, when she will have another new novel, Cocoa Beach. 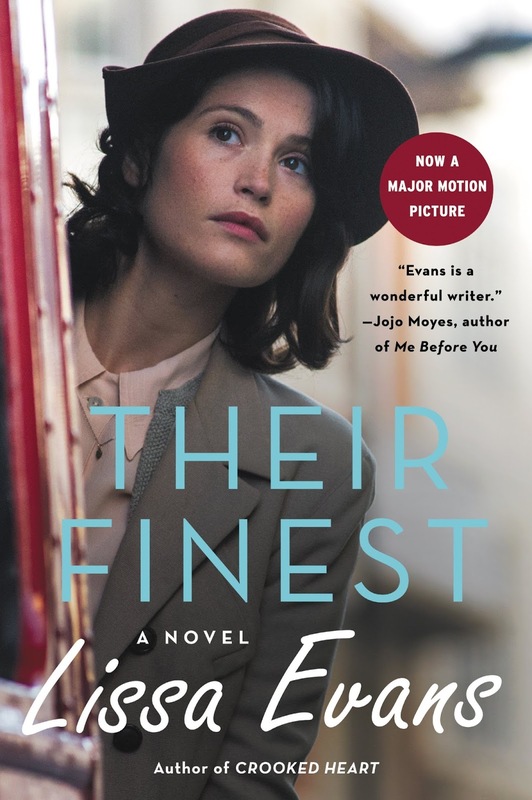 This novel, originally published in the UK, has already become a major motion picture. Set in London in 1940, it follows the career of Catrin Cole, who works on propaganda films for the Ministry of Information and ends up producing a largely manufactured “true” story about two sisters at Dunkirk. In the current political climate, and especially as a specialist in Russian history, how could I resist? Another potential NBHF interview that I received too late to fit into my schedule. 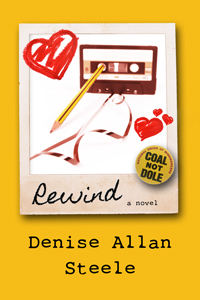 A delightful, hilarious novel set in 1970s/80s Scotland and modern-day California. 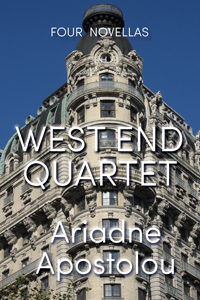 Karen Anderson at seventeen lives for ABBA, the Hustle, and the attentions of her school's bad boy, until he breaks her heart by taking up with the local tramp. Karen escapes to university, where she meets and falls in love with Jack, a cool guitar-playing student who hates Margaret Thatcher as much as she does. Thirty years later, married to Jack and living in California with two teenagers who barely give her the time of day, Karen falls into the middle-aged trap of wondering about the road not taken. Can you rewind the book of love, and if you can, should you? With a legion of Scots relatives to my name, I find this story irresistible. It’s like a journey home, with laughs. These first two books in a planned trilogy weave tales of the author’s family into a semi-fictional account of a nineteenth-century Kansan who travels the world, as rediscovered by his great-grandson a hundred years later. The author’s years of writing and teaching journalism give him an ear for dialogue, a knack for description, and an instinct for the telling anecdote that together make for sharp observations and a compelling style. The books read like a combination of travelogue and diary, with a good deal of history seamlessly tossed into the mix. My March NBHF interview. Another dual-time story, but this one involves time travel, like the Outlander series. Faye Barlow, reeling from the death of her beloved husband, takes a job photographing the South Carolina coast. 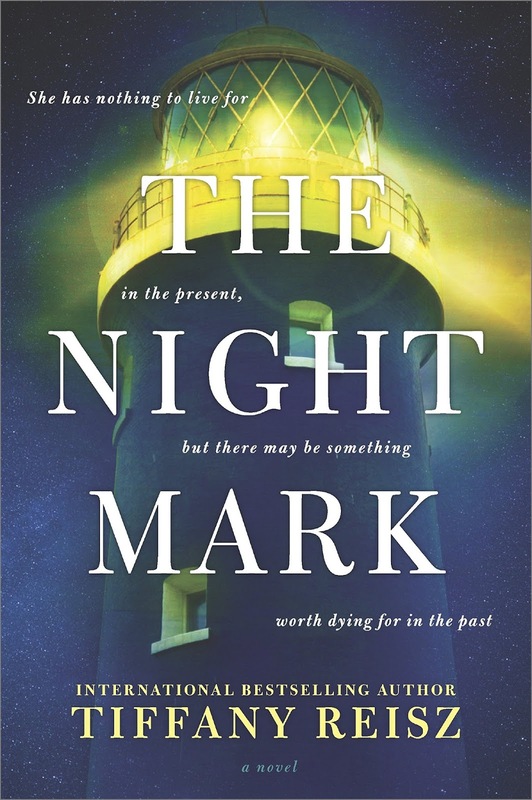 Pulled toward the Bride Island lighthouse during one assignment, she keeps returning, drawn by the legend of a keeper’s daughter who drowned under mysterious circumstances in 1921. One night, a rogue wave drags Faye into the past, where she becomes caught up in a love story that is not her own. 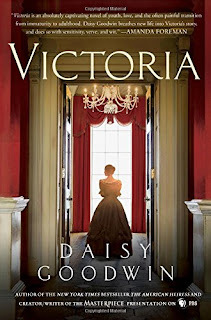 As a historian, I often fantasize about visiting the period I study, in reality or through fiction (as in The Not Exactly Scarlet Pimpernel), so I leaped at the chance to interview this author when her book comes out in April. 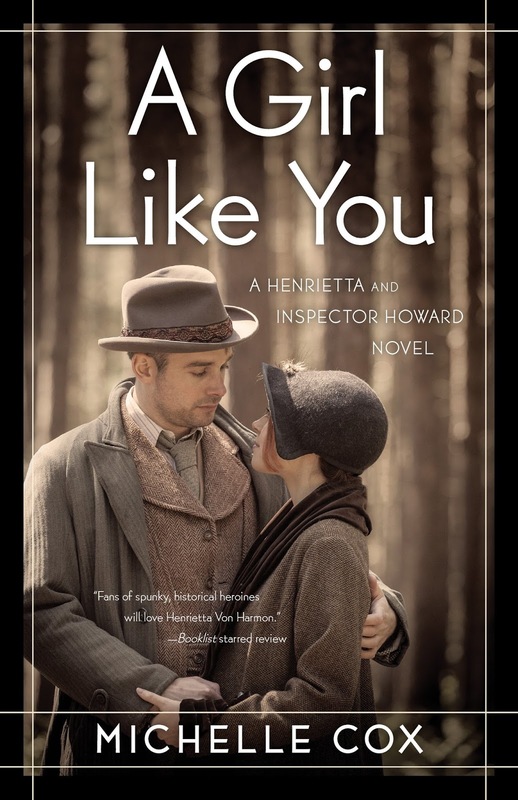 Two mystery novels set in 1930s Chicago, starring Henrietta Von Harmon and Inspector Clive Howard. Henrietta, despite her aristocratic-sounding name, has sole responsibility for her nasty mother and seven siblings since her father committed suicide after the great crash of 1929. She has just established herself in a job at a local dance hall when the floor matron turns up dead. 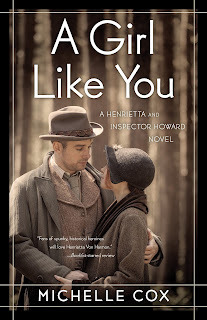 When Inspector Cox recruits her help in solving the crime, love enters the picture. In book 2, buried family secrets threaten Henrietta’s and Clive’s prospects for happiness, even as another crime casts a shadow on their budding romance. What can I say? I love 1930s mystery stories of the Agatha Christie/Dorothy Sayers type, and these two books appear to be in that mode. 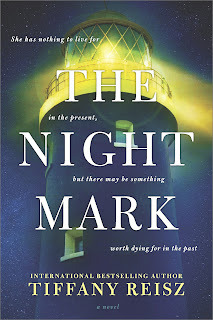 My May NBHF interview, scheduled for right after the second book’s appearance in April. Four young women living in 1980s Manhattan join together to form an urban commune called Group, dedicated to feminist politics, anti-nuclear protests, and various other radical causes. When the Reagan years end, Mallory, Jasmina, Gwen, and Kleio travel along different paths, never quite losing contact but no longer close. Through separate novellas we trace crucial events in the lives of the first three (Kleio has her own book, Seeking Sophia, released in 2013), ending with their reunion in Greece just as Kleio is facing a big decision of her own. A richly realized and often poignant character study of four women who set out to change the world, only to discover that more often the world changes us. That should keep me busy for a while. Check back every so often as the individual posts go up to find out more about what I thought of each individual book. There’s an inverse ratio, I find, between working on a new draft of a novel and blogging. With the happy coincidence of Martin Luther King Day this Monday and my source of income being located in DC, where the university decided it was easier to close than deal with the insanity of requiring staff to navigate past inaugural events and protests, plus a relatively quiet week, I have focused every spare moment on The Vermilion Bird. The good news is that I have thirteen solid chapters, eight of which have already survived the scrutiny of my invaluable critique group. A fourteenth is slowly unrolling under my typing fingers; with luck, I can finish it and get a sketchy form of chapter 15 out of the way by Monday, when work again returns full force. 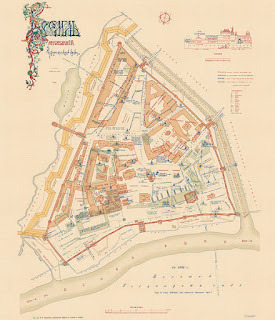 If I hadn’t needed to research the layout, appearance, and lifestyle characteristic of the early sixteenth-century Kremlin (on which, see “Fortress City”), not to mention the position of Tatars within and immediately outside the city, I could have made even more progress, perhaps to two-thirds of a novel instead of one-half. The “bad” news—although it’s not really that bad—is that I can concentrate on the dialogue and actions of my imaginary people or detour to write a blog post. So this week I decided to settle on a quick progress report and save the good stuff for next time. And if you missed last week’s interview for New Books in Historical Fiction, give that a listen, too. 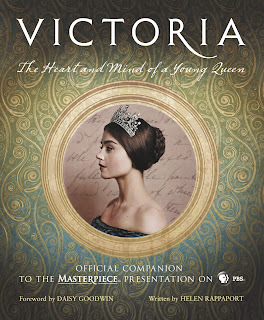 Three million viewers tuned in for the first episode of the Masterpiece Theater miniseries Victoria, and here’s your chance to find out about the history behind the program as well as a bit about life behind the scenes. All loads of fun, and it’s free! 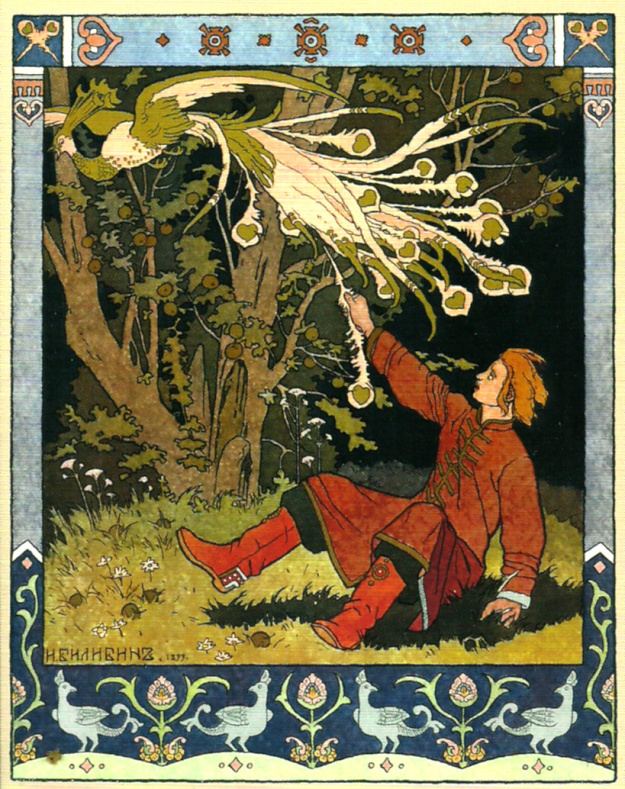 Image: Ivan Bilibin's illustration of Prince Ivan catching the firebird, in the public domain because it was published before 1923, via Wikimedia Commons. It’s not news that the Internet has wrought dramatic changes in the way that the computer-connected world—which, we should keep in mind, is not the entire world—approaches many aspects of everyday life. Those of us old enough to remember typewriter ribbons and white-out, paper maps that tore along their folds, and clocks with hands rather than digital readouts have war stories to tell about those moments when we recognized that elements of life we took for granted had changed irrevocably. Mine was an evening drive through New Haven, looking for a famous pizza parlor with my son navigating from the back seat on his smart phone. I named the streets as we passed them, as I would to someone reading a map, and he said, with that voice only teenagers speaking to their “ancient” parents can truly master, “Mom, the phone knows where it is.” I remember thinking, “I don’t know where I am. What do you mean, the phone knows?” But of course, he was right. One such change—wrought by both the Internet and, before that, the cinema—is a renewed emphasis on visual representation. Text remains important, of course: people buy and read books, both print and digital; authors maintain blogs, like this one, and write materials of all sorts. But television, social media, YouTube videos, film, and other forms of still and moving images lie just a click away. Not every writer, by any means, imagines who would play which of his or her characters in a movie, but many do. 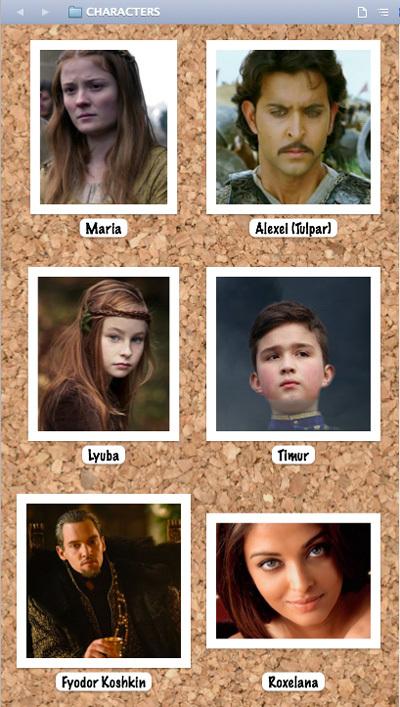 I write in Storyist in part because it allows me to pin a cork board of images—film stars, random faces, portraits of sixteenth-century nobles and peasants as envisioned by nineteenth-century artists—on the right side of my screen as I write. Those faces inspire me, and when I find a new one that more closely resembles my evolving understanding of a particular person, I switch them out. So I perfectly understand the impetus to televise fictional and historical stories. A good actor can convey with the flick of an eyebrow nuances of emotion that a novelist may need paragraphs to describe. Costumes, hairstyles, rooms, furniture, even mannerisms come across in a visual medium far more clearly than through a verbal exchange. Written works excel in taking the reader into a stranger’s mind, but for outward appearance and verisimilitude the screen has few equals. The power of the image, though, makes accuracy essential. Costume designers routinely adjust historical styles to match current tastes, and that’s fine. But if a Carolingian lady is waltzing around in a crinoline, the audience gets the wrong impression, and that impression can be difficult to erase. The same holds true, to much greater degree, of time frames, personalities, and relationships. That’s where the historical consultant comes in. 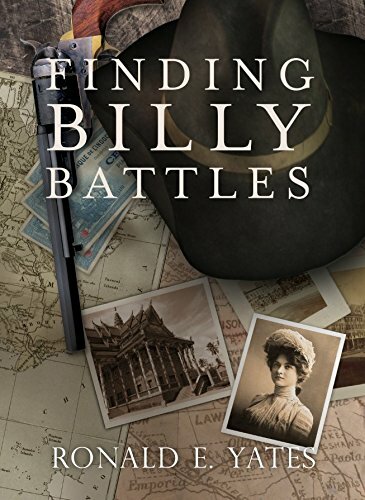 In my latest interview for New Books in Historical Fiction, talk with the historian Helen Rappaport about that important role, among other topics. 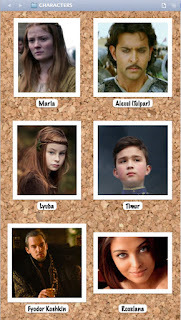 The rest of this post, as usual, comes from New Books in Historical Fiction. The term “historical fiction” covers a wide range from what the mystery writer Josephine Tey once dubbed “history with conversation” to outright invention shading into fantasy. But behind every story set in the past lies the past itself, as re-created by scholars from the available evidence. 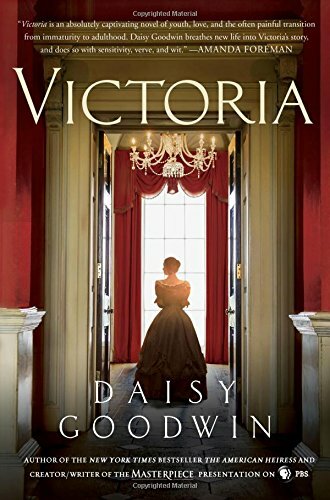 This interview features Helen Rappaport, whose latest work reveals the historical background behind the Masterpiece Theater miniseries Victoria, due to air in the United States this month. Rappaport served as historical consultant to the show. 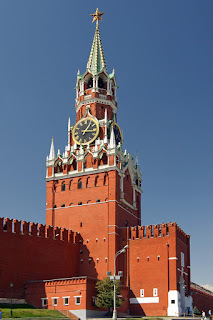 It’s been a while since I wrote a history post, largely because I tend to do the most research either before I start a new project or when I hit a brick wall midway through the first draft and discover I actually have no idea what happened during X or what people did when faced with Y or, as in this case, what the Moscow Kremlin looked like in February 1537. You might write off that last as a no-brainer, and I certainly would not blame you if you did. After all, Wikipedia can tell you that the current fortress walls have been on the same site since Pietro Solari directed their construction in 1485–1495. The best-known cathedrals and at least one palace date from the same period. So what’s the problem? Nor are these the only types of alteration. The deep red of the walls, familiar from so many photographs, is achieved by paint. The underlying brick is much paler, closer to peach, and at times in the past has been covered in white stucco. The gingerbread towers of the modern Kremlin are seventeenth-century add-ons; the original towers were designed to menace from the far side of a moat that once separated the citadel from what is today called Red Square (then still devoid of St. Basil’s). You can see the moat at the bottom of Blaeu’s map, which should really be to the right, as Red Square lies to the east of the Savior Tower. Even the purpose of the city has changed. 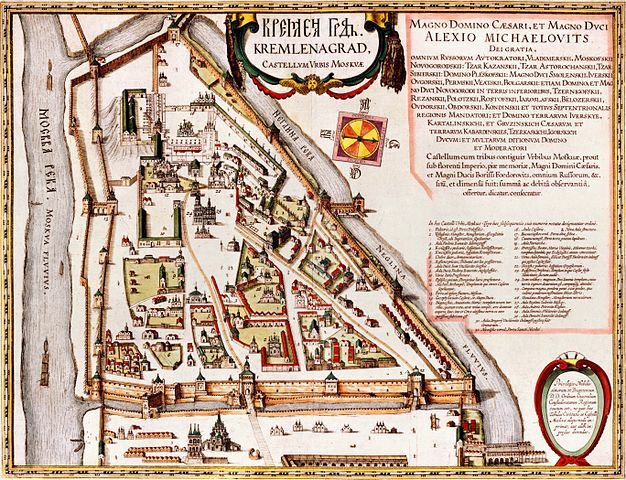 At one time, the Kremlin was the city, an area about a quarter the size of today’s fortress protected by log palisades. By the 1530s, only the royal family and the most prestigious noble clans maintained living quarters inside the walls, which also hosted a monastery and a convent as well as the metropolitan of Moscow, the head of the Russian Orthodox Church. Everyone else lived on the far side of today’s Red Square, in what became known (and is still known) as the Kitaigorod. In 1535, Grand Princess Elena of Russia, the mother of Ivan the Terrible and sometime heroine/sometime villain of my Legends series, ordered the construction of a second set of fortifications: a massive brick wall as thick as it was tall, so solid that it stood until Stalin went after it with dynamite four centuries later. Visitors to Moscow can still see its remnants today. The city expanded outward from there: two more sets of walls went up before the end of the seventeenth century, and the twenty-first-century city extends beyond those. All this rebuilding and repainting makes life difficult for a novelist. 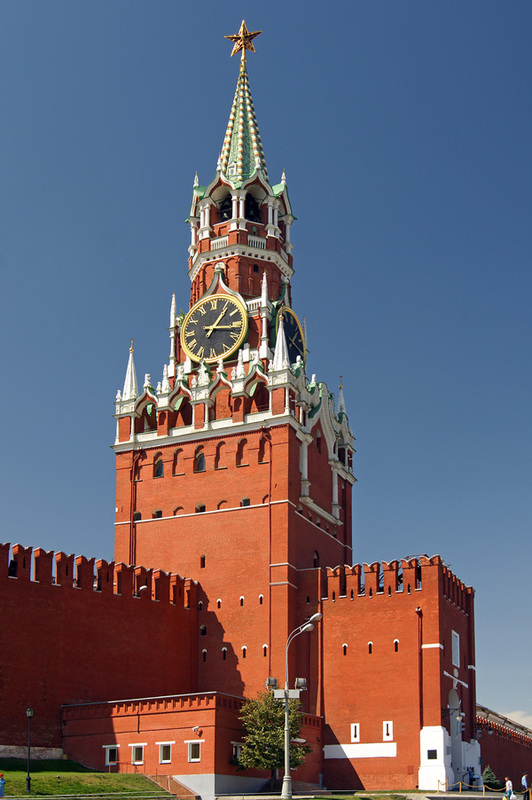 What would my characters see when they enter the Kremlin? We can be reasonably certain that the bottom third of the Ivan the Great Bell Tower looked much the same then as now, although the iconic gilded cupola and the top two tiers did not appear until later. The Faceted Palace has survived, but the much larger collection of buildings where Ivan and his mother lived and governed has given way to the Terem Palace and the Great Kremlin Palace (built in 1837). The obviously eighteenth-, nineteenth-, and twentieth-century buildings can be eliminated, but what about the Tsaritsa’s Golden Chamber, which turns out to date from the 1550s (maybe) and has decorations matched to the 1590s, when Irina Godunova, sister to Boris Godunov and wife to Ivan the Terrible’s son Fyodor, ruled there? Was it part of an older structure that my characters might have encountered? I checked the Russian chronicles to find out where Elena Glinskaya received the wives of Tatar khans and learned that the meetings took place “in the chambers near St. Lazarus’s.” But where was St. Lazarus’s? It’s not on any current map. It’s not on the 1604/63 map—except that it actually is, unmarked. According to “The Great Kremlin Palace in 1912,” the Church of St. Lazarus, built of wood in the fourteenth century, was “annexed to the south side of the Church of the Nativity of the Virgin.” In 1479 the walls of both churches collapsed, and in 1514 Alevisio rebuilt a single church dedicated to the Virgin’s Nativity on the first floor, with the former Church of St. Lazarus underneath. Further renovations took place in the late seventeenth century, as a result of which the Church of St. Lazarus was forgotten until the construction of the Great Kremlin Palace uncovered its fourteenth-century shell. Today the church exists entirely within the Great Kremlin Palace, which is closed to visitors because the Russian president lives there. But before the revolution, the Church of the Virgin’s Nativity was the private chapel of the grand princesses and tsaritsas and—which is the most telling and delightful detail—it backed directly onto the residence set aside for the royal women, which eventually became the Terem Palace. In this attempt to reconstruct the Kremlin as it might have appeared in 1537, in addition to the sources I’ve already mentioned, I stumbled on one more that has proved invaluable. 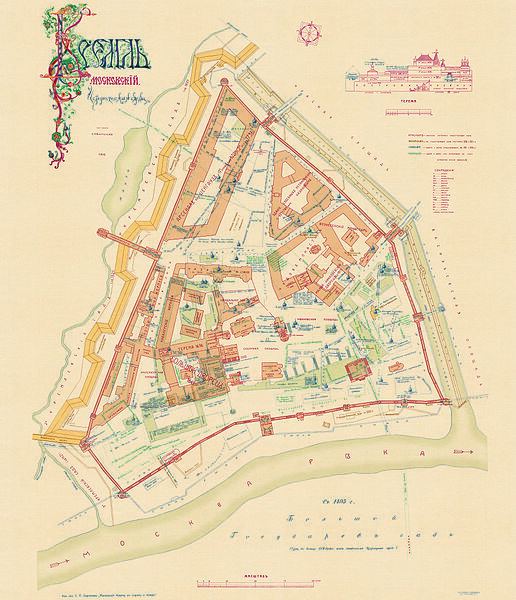 In 1910, S. P. Bartenev—who in 1912 wrote the guidebook reproduced on “The Great Kremlin Palace” website—drew an overlay map of the Moscow Kremlin. The buildings that appeared in his day, many of which were destroyed in the Soviet period, are shown in orange. But there are layers and layers of overlapping buildings in green. These mark the locations of former noble estates, Dmitry Donskoi’s terem, Ivan the Terrible’s bedchamber, the palace assigned to Zoë Paleologa, and much, much more. The notations are handwritten in Russian, which is why it helps to speak the language, but the file on Wikimedia Commons, reproduced here in a small version, is huge. A desperate novelist can blow it up to read the tiny print. Combine its evidence with the paper-doll-like renditions of Blaeu’s 1663 map (he never saw the Kremlin, but the original artist obviously did, because the buildings match what few descriptions we have as well as the structures that remain), and one can at least begin to imagine what Maria may have seen as she traveled veiled in her enclosed sleigh to Grand Princess Elena’s reception hall. So this is how I spent a good half of my vacation. Much of it went into writing, but a good deal involved peering at Bartenev’s map, comparing it with Blaeu’s, searching for old photographs and descriptions, and reading as much Kremlin history as I could absorb from modern historians and from sixteenth- and seventeenth-century accounts. It’s been fun, and I learned a lot. Not least that you can’t always tell a book by its cover—or a fortress by its walls. 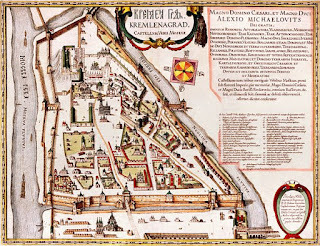 Images: Joan Blaeu, Kremlenagrad map, 1663, in the public domain because of its age; Spasskaia tower, Kremlin, © Milan Nykodym, Czech Republic, CC BY-SA 2.0; overlay map from S. P. Bartenev, Moskovskii Kreml’ v starinu i teper’ (The Moscow Kremlin in Olden Times and Now ), in the public domain because of its age—all via Wikimedia Commons.